Test marks critical stage in development and licensing of special drag parachute designed for F-35A to be delivered to Norway. 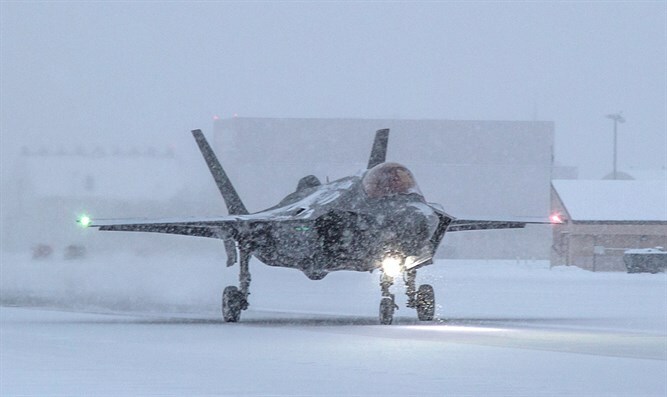 Lockheed Martin put its F-35 Lightning II through a series of trials in Alaska, where it landed on an icy runway for ground testing at Eielson Air Force Base, Alaska. The test, conducted by USAF pilot Maj. Jonathan “Spades” Gilbert, is a critical stage of the certification process for the Norwegian drag chute and continues over the next several weeks. Maj. Eskil Amdal, test pilot with the Royal Norwegian Air Force, also participated. A drag or "drogue" parachute is a parachute designed to be deployed from a rapidly-moving object in order to slow it and provide control and stability. The F-35A drag chute is designed to be installed on all of Norway’s F-35As and is form fitted to ensure it maintains stealth characteristics while flying. The drag chute underwent initial wet and dry runway deployment testing at Edwards Air Force Base, California earlier this year.